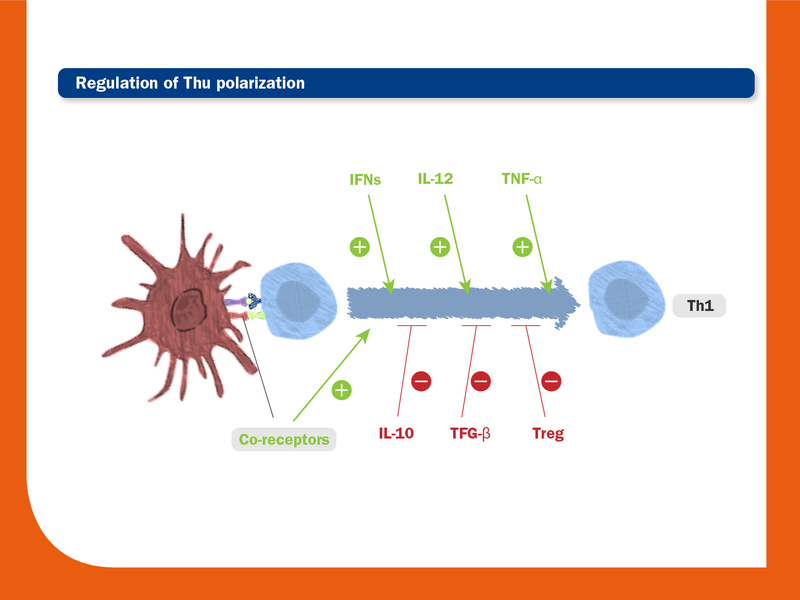 Impairment of some cytokines such as IFN-α or TNF-α can affect the development of an effective Th1 immune response. Also, the induction of IL-10 by PRRS virus may negatively regulate the cell responses. The PRRS virus down-regulation of given cytokines or of immunologically relevant cell-surface molecules during antigen presentation can affect the development of effective cell responses. As seen before, the major function of Treg cells is to down-regulate immune responses. It has been demonstrated that several viruses evade host immunity by promoting Treg and/or the secretion of immunosuppressive cytokines IL-10 and TGF-β. After a PRRSV2 infection, these cells have been consistently observed in lymphoid tissues related to a strong TGF-β production. However, no clear evidences exist about a positive correlation between the length of viremia and the development of Treg cells. N protein could be involved in the upregulation of the frequency of Treg. Differences regarding the ability to generate Tregs could exist among PRRS virus isolates. Similarly to NAs, continuous creation of escape mutants could prevent the correct development of cell-mediated immunity.